We are excited to introduce two outstanding young women, Delaney Agnew and McKenna Murphy, as our 2018 William Wiersma Scholars. 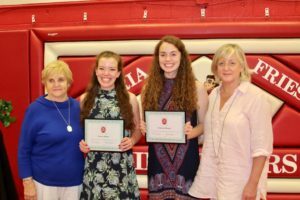 Joan and Lisa Wiersma awarded the Scholarships at the Cambria-Friesland High School Awards Ceremony on May 23, 2018. We are excited to introduce our 2017 William Wiersma Scholar, Ashtyn Smits. 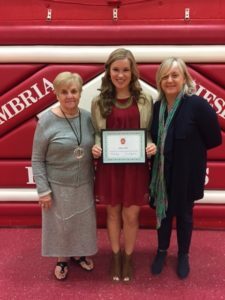 Joan and Lisa Wiersma attended the Cambria-Friesland High School Awards Ceremony on May 24, 2017, and announced Ashtyn as this year’s Scholar. We are excited to introduce our second William Wiersma Scholar, Jacob Keip. Joan and Lisa Wiersma made the announcement at the Cambria-Friesland High School Award Ceremony on May 18, 2016. 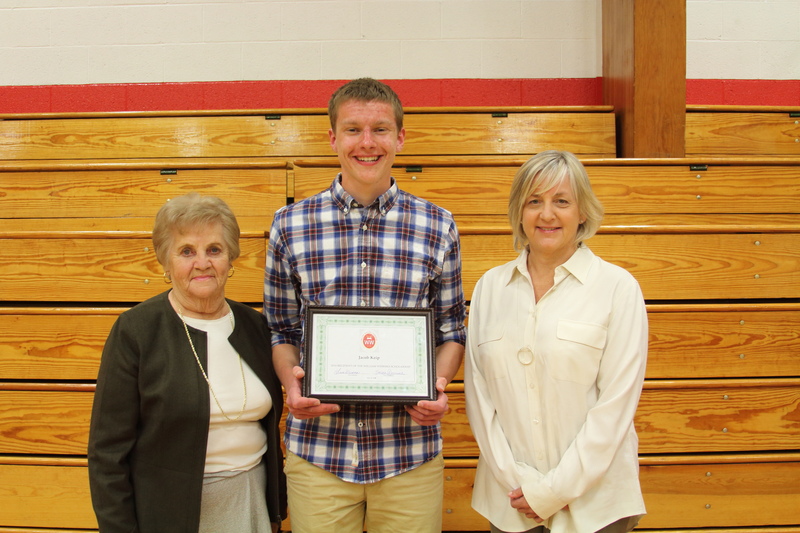 We welcomed our first William Wiersma Scholar, Andrew DeYoung, on May 20, 2015! The application process includes a lengthy questionnaire, four essays, three letters of recommendation, and an interview, so we had extensive information on which to base our decision. 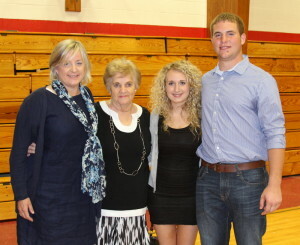 Joan and Lisa Wiersma attended the Cambria-Friesland High School Award Ceremony on May 20, 2015, to present the Scholarship to Andrew, and a Special Recognition Award to Isabella Hasselberger. What are our scholars up to now? Please share it with us through the update form! Delaney Agnew is Salutatorian of the Cambria High School Class of 2018, and has excelled in all of her classes across all subjects. She attended a Presidential campaign rally in Madison in 2012, and since that time has developed an ever-increasing passion for government studies and politics. Delaney’s experience on the Platform Committee and as a State Senator at Badger State Girls solidified her plans to pursue these studies in college and as a career. She enjoys public speaking and performing, with numerous awards in forensic competition and singing the national anthem at sporting events. Delaney’s employment at a nursing home has become much more than a job for her. She has developed special relationships with the residents, regarding them as “extra grandparents,” and spends time talking, reading and singing with them on a regular basis. These activities have also provided further focus for Delaney’s career ambitions. 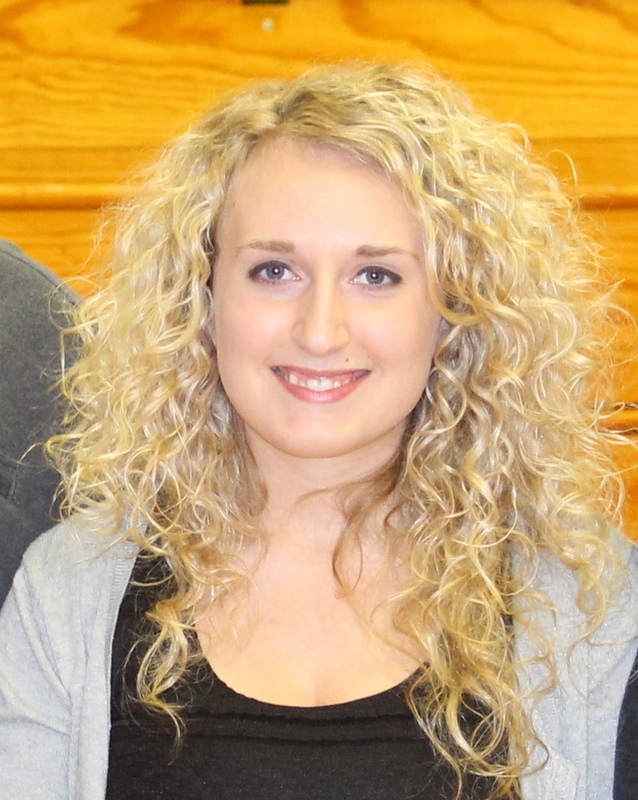 Delaney hopes to apply her skills as a lawyer in the area of elder advocacy and protection. 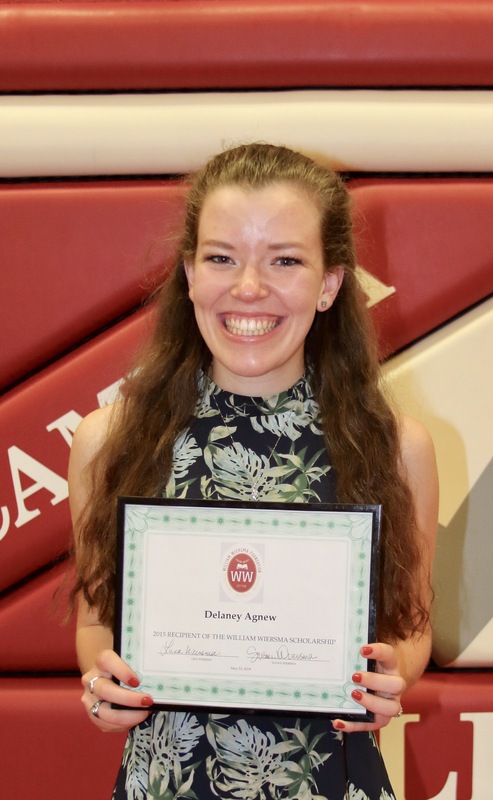 Delaney will be attending the University of Wisconsin-Madison, where she will embrace a world of opportunity in the fields of politics and government. We are proud to support Delaney in her exciting and important career goals. After a very successful and busy semester at UW-Madison, I am very excited to share all of the wonderful things that I have been up to! I took a variety of classes this semester in order to fulfill general education requirements, while also catering to my interests! I took an introduction class for political science that revolved around American politics and government, which was even more interesting during the midterm election. I took a sociology class on American society that also helped me analyze politics, but from a different perspective. I enjoyed this class so much that I am now considering possibly double majoring in Political Science and Sociology! I am taking another sociology class next semester on race and ethnicity in the United States in order to help with this decision. I also took a gender and women’s studies class regarding world history that was truly an eye opener. The G&WS department at UW-Madison is remarkable. I am planning on fulfilling more general education requirements with more G&WS classes to also obtain a certificate in this fascinating field! I loved all of my classes this semester and am proud to say that I made the Dean’s List! Outside of the classroom, I kept myself very busy! I auditioned for chorus the first week of school and got into the women’s chorus! We rehearse three times a week and had three concerts this semester. My favorite was the holiday concert at Luther Memorial Church where we performed with the other choirs on campus. I have met so many amazing women in my choir that I’m sure will be lifelong friends! I feel so blessed to get to continue my love for music at college! I also got to be active in politics this semester through the two student organizations I joined. By being involved with College Democrats, I got to canvass for political candidates during the midterm election while also getting to meet and talk with several at campaign rallies! The coolest rally that I attended was with former Vice President Joe Biden, where I managed to sneak into the back of a selfie with him! I got to also celebrate National Love Your Body Day with the National Organization for Women (UW-Madison Chapter). We tabled on State Street and handed out positive affirmations, candy, and cheer! I also got to take part in Badger Athletics pride by not only attending the first men’s basketball game, but also by being pictured in this year’s poster! Words cannot begin to express my gratitude for all of the opportunities that receiving this generous scholarship has afforded me so far, and I am so excited for what the future holds for me in college! Thank you from the bottom of my heart. 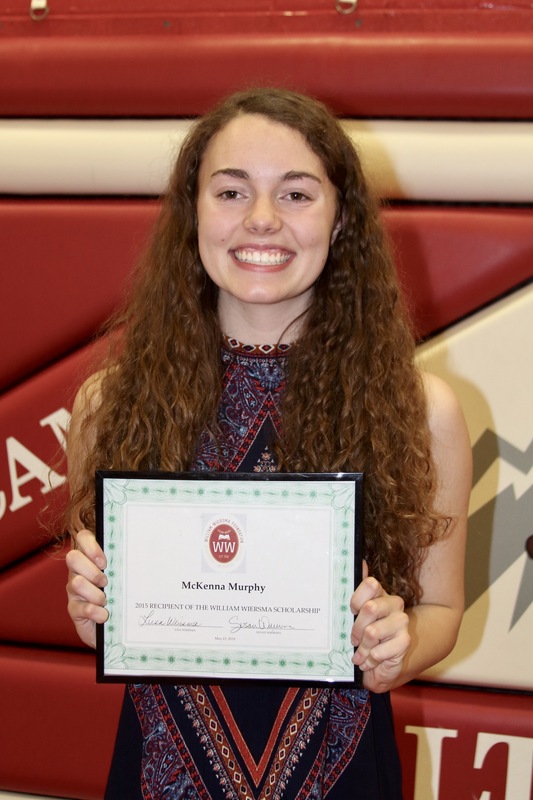 McKenna Murphy has distinguished herself as an outstanding student and leader in school and community activities. McKenna has always excelled in mathematics, and had planned to pursue a career in accounting or other related field. Recently, however, she has discovered a love for teaching, and now hopes to combine her interests as a business or accounting educator. While McKenna has been instrumental in the organization of many community activities, her participation in the annual Memorial Day commemoration in Friesland is particularly noteworthy. Every year, she tirelessly works with family and friends to meticulously unfold the casket flag from each veteran, hang each on a separate pole and arrange the poles to construct the “Avenue of Flags.” Each veteran is honored by name as their flag is raised, and also as a flag is placed at their grave. For McKenna, the event serves as a personal reminder of the sacrifice of others and her personal patriotism, and she is committed to providing this opportunity for her generation to remember, respect and honor those who fought our freedoms. McKenna will be attending the University of Wisconsin-LaCrosse, and we are honored to support her college career. My first semester at UW-La Crosse went very well. I enjoyed meeting new people and adjusting to college life. Coming from a small school, I was expecting to be extremely overwhelmed. However, the classes at UWL are smaller in size and the professors are personable so the transition was easier than I thought. My favorite class was an education class called School, Society, and Teachers. This class helped me realize education is something I am passionate about and helped with my decision to change my major to middle childhood through early adolescence education. Over the winter break, I will be job shadowing a few elementary and middle school classrooms as well as working at Seneca Foods in Cambria. Again, thank you for selecting me as a recipient. I am very humbled and honored to receive your generous scholarship. 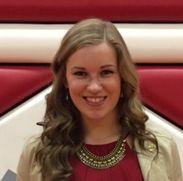 Ashtyn Smits, of Cambria, Wisconsin, is our 2017 William Wiersma Scholar. She will be attending the University of Wisconsin-Madison, and will pursue her interest in mathematics by majoring in accounting. Ashtyn is valedictorian of her class, having accomplished a perfect “straight-A” record in high school. Ashtyn’s accomplishments extend beyond the classroom, as she played softball and basketball for four years, was Secretary of her class and of National Honor Society, was a member of Honors band, and participated in many other clubs and activities. Ashtyn credits her athletic experiences with teaching her the value of hard work and perseverance, and brought these attributes to her role as Captain. Most notable, however, is Ashtyn’s record of service to her school, church and community, where she always brings “kindness, compassion and a strong work ethic.” Although she is a respected leader for many of these activities, including the Red Cross Blood Drive, tutoring and teaching Sunday school, Ashtyn is known for her selfless commitment to assist behind the scenes with any project that needs her help. Perhaps the most revealing comments about Ashtyn come from those who have known her throughout her high school years, as they all note that “Ashtyn will be greatly missed by her peers, her school and her community,” when she leaves for Madison. We are excited to be a part of Ashtyn’s successful college career! I am in my second year at UW Madison and making so many connections! My professors are so kind and have been assisting me in finding a meaningful internship this summer. It is nice seeing familiar faces as my classes have gotten narrowed down in number. My classes are getting more specialized in my major, Agriculture Business Management. I am also working towards a Certificate in Sustainability. My goal is to work towards making agriculture more sustainable in regards to water use, run off, food production, and so much more! There are endless paths for my career to take, and I’m excited to work to make change in the world! I also made the Dean’s List for the third consecutive semester! Being rewarded for hard work is a good feeling and encourages me to continue to study hard! Thank you, again, for your continued support and encouragement. I hope to share good in the world as much as you have! My second semester of college went as great as the first and I earned the honor of being on the Dean’s List again! Classes are becoming more interesting and I am learning more about my interest of study. I stayed very busy with my two student organizations, constant events going on around campus, and soaking in as much information as I can from my classes! I am taking an additional Summer Term course online this summer to get ahead on my Economics course sequence. Next year I will be living down in Madison in an apartment close to campus and will have a full class schedule. My plan for next summer is to get an internship with an agricultural related company and further develop the career path I would like to take. Thank you so very much for your generosity. I am working two jobs this summer to keep up with payments and thanks to YOU I am able to attend the University of my dreams. The world needs more people like you! I hope you are enjoying your summer and the warmer weather! I completed my first semester at UW-Madison and am loving it! I enjoy being at a large University with so much to offer. I achieved being on the Dean’s List my first semester of college and am working towards that goal again this semester. My current major is Agricultural Business Management with a Certificate in Sustainability. During the fall semester I have joined the Saddles and Sirloins Club and the Agricultural Business Management club, along with volunteering at their many events. Two of the largest and most enjoyable events to volunteer at were the Targeting Excellence Shootout and Badger Kickoff Classic. I am very excited to keep working towards my goals and dreams by continuing my education at UW-Madison! 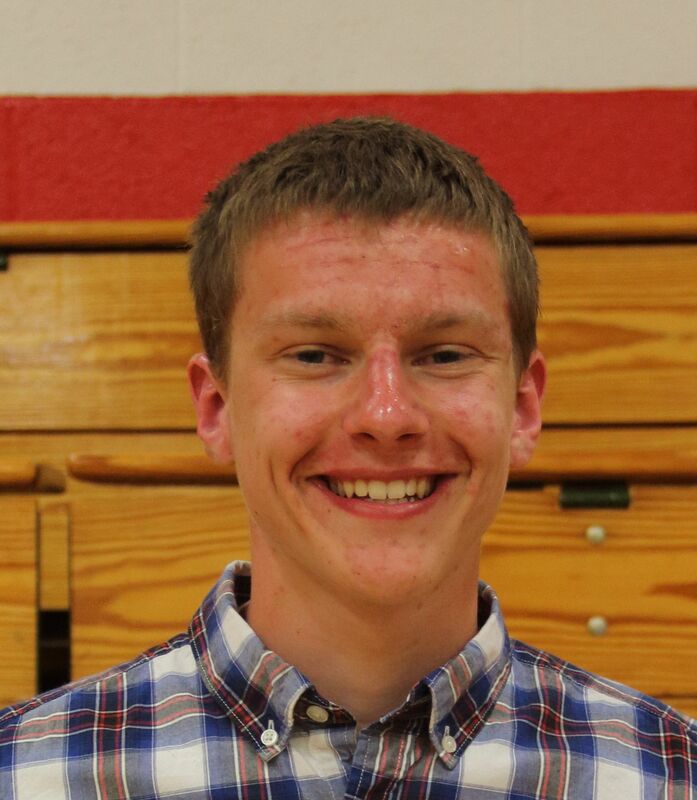 Jacob Keip, of Cambria, Wisconsin, is our 2016 William Wiersma Scholar .Jacob is an outstanding student, and will graduate as Salutatorian of his class with a 4.16 GPA. Between his studies, athletics, and employment responsibilities, Jacob has also found time to reach out and help others. He initiated a new program where he and his fellow Varsity football teammates read to students at the elementary school once a week, and the program has been so successful that it will be continued in future years. Jacob will be attending the University of Wisconsin-Madison and majoring in Engineering Mechanic and Astronautics. He is humble and hard-working by everyone’s report, and we commend him for the initiative and diligence he has demonstrated in preparing himself for a career in aeronautics and space exploration. Jacob has always been fascinated by anything that flies. One of his favorite stories is to hear his father recount the awe that overtook the nation, and the world, when everyone watched Neil Armstrong take his first step on the moon. Jacob hopes to someday work for NASA and contribute to the manned exploration of Mars! We are honored to support Jacob as he continues to pursue these laudable goals at the University of Wisconsin-Madison. I’ve just completed my fifth semester at UW-Madison and my first official semester in the College of Engineering. It sure hasn’t been easy, but I’m persevering and I keep finding new way to succeed and new things to change about my habits in college. This past semester my hardest class was by far Thermodynamics, but it was also the most interesting, as I learned to model multiple forms of combustion engines, such as turbofan, turbojet, and 4 stroke engines. This spring semester I will be taking some more specific classes, with a much smaller class size (finally). I will be taking my final math class (I thought I was done this past semester, but found out I had one more with the Astronautics option), Mechanical Vibrations, Electronic circuits, Fluid Dynamics, and an Advanced Computer problem solving class. This won’t be an easy schedule by any means, but then again neither was this past one. I’m trying to find an internship or co op for this summer, but I’m not getting my hopes up, as I have no industry or project experience. I’m hoping this semester changes that. If all else fails, I’ll just go back to my job at the airport, as I loved every hour I spent there, as well as learned new things about the aerospace industry, that will be helpful in my future career. Wow! It’s truly hard to believe this year is already over and we’re back in the swing of summer festivities. It’s been quite a hectic and busy year for me. At the beginning of the year I broke my foot, and was unable to join the rowing team, which was an extreme disappointment to me. My classes are starting to ramp up in difficulty, as I have just completed a 2 semester series of physics classes; Statics and Dynamics, which have been extremely difficult, but also very interesting. I’ve also completed my final Calculus class with Calc 3, but will be moving onto taking my last mathematics class, Linear algebra and differential equations. I have just recently submitted my application to the engineering school. I’m hoping for the best but expecting the worst, and I have already spoken to the astronomy-physics advisors for a possible transfer into the program. Luckily, if I have to go the astronomy route, almost all my classes will carry over to meet requirements. This summer I will be living in Madison and working at the airport as a Line Technician. I will be refueling, marshalling, and any other ramp related work on aircraft. I’m extremely excited about this job and my first few days have gone exceptionally well. I’m glad to just have my foot in the door in the aviation industry. I don’t think I will ever get tired of it. I’m looking forward with anticipation to my next year and to see what the college of engineering has decided for me. I hope summer doesn’t fly by as fast as the school year did! I finished with a 3.5. I’m still pursuing a degree in a Engineering Mechanics/Astronautics. Some of the coursework has been surprisingly difficult, but the most difficult classes are General Ed courses and not degree related courses. I guess it’s because the Gen Ed courses involve a lot of memorization of facts while the math and science involve applying ideas. I’ve also completed my first year of rowing and really enjoyed it. I’ll be spending the summer training in Madison in preparation for next season. I had a great first year and I can’t wait to be back at Madison for year 2. 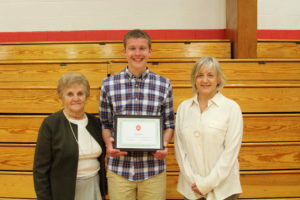 Andrew DeYoung, of Cambria, Wisconsin, is our first William Wiersma Scholar. 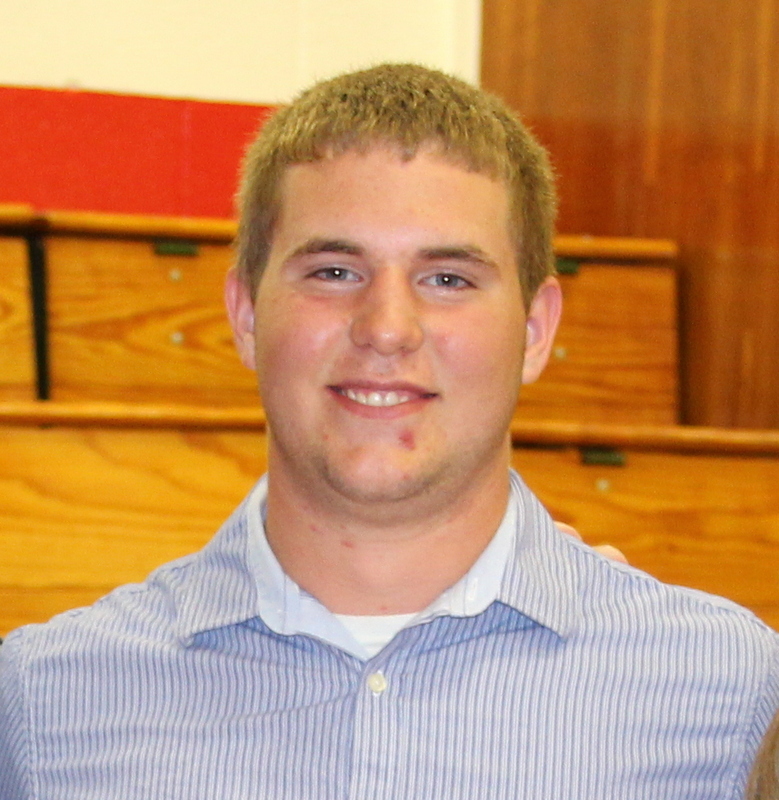 He will be attending the University of Wisconsin-Platteville and majoring in mechanical engineering. Andrew has excelled in the classroom, earning a 4.18 GPA, and graduated third in his class at Cambria-Friesland High School. Thinking ahead, Andrew took the initiative to “double up” his mathematics courses as a freshman, allowing him to take Advanced Placement Calculus as a junior, and to earn college credit. Andrew earned twelve varsity letters during high school, playing football, basketball, and baseball for four years, and serving as captain for each of the teams as a senior. He has participated in, and been a leader for, many extra-curricular activities, including community and church-related service projects. This past winter, he noticed an elderly gentleman struggling with snow removal, and stopped and offered assistance. Following this first encounter, Andrew returned to shovel the gentleman’s driveway and sidewalk for the entire winter, and moreover, took time to talk with him and became a friend. Andrew is an exceptional young man, and his scholarship, initiative and integrity truly reflect the attributes of a William Wiersma Scholar. We congratulate him on all of his achievements, and will be following his progress as he continues at the University of Wisconsin-Platteville. Having now completed my first semester of college, I am so grateful for the choice to attend school and select UW Wisconsin Platteville. Mechanical Engineering is still my future major at UWP, and I am currently enrolled in General Engineering as required until my Sophomore year. My first semester has been very enjoyable in class and also in extracurricular activities. During the fall, I joined multiple clubs; Inter-varsity, college church group; the Sportsman Club, outdoor activities (trap shooting); intramural sports, basketball, softball, and racquetball. Not only did I participate in intramural sports, I have had the opportunity to officiate intramural basketball as well. My first semester in the classroom was filled with challenging classes. Freshman English, Calculus I, Chemistry for Engineers, Fitness Assessment, Engineering Success Skills and Basketball. I truly feel that college is a perfect fit for me and I look forwards to the next 3.5-years of schooling. Isabella Hasselberger received a Special Recognition Award from the William Wiersma Foundation. The Special Award was given to recognize Isabella’s remarkable accomplishments as they reflect the scholarship, initiative and integrity that the William Wiersma Foundation embodies. Isabella graduated Salutatorian of her class at Cambria-Friesland High School, and will be attending the nursing program at the University of Wisconsin-Oshkosh. She has excelled in Spanish, and plans to minor in Spanish in college. Isabella has been an officer of her class, captain of the volleyball team, and a leader in other extracurricular activities. She recently earned her CNA certificate, and will be working as a nursing assistant this summer as she embarks upon her nursing career. We are proud to include Isabella as a recipient of a William Wiersma Foundation award, and look forward to following her progress at the University of Wisconsin-Oshkosh.